A 7" stainless steel, heavy duty hasp & staple. Coated in silver Hammerite to protect from rust. This was previously only included with the Security & Beast range but it is now included for free with every shed! 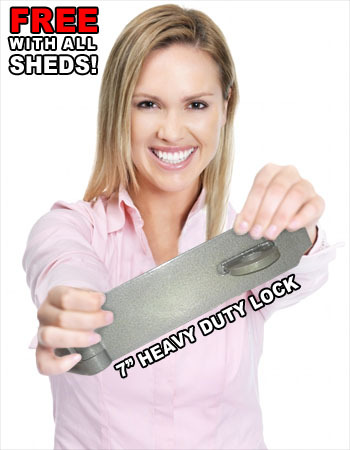 Hasp & Staple lock - the Secure & Beast shed range's standard lock. It is bolted & screwed through the sheds cladding & framework.